Dilli Regmi had some surgery to relieve a bone that had grown since his amputation as a youth after a car accident. 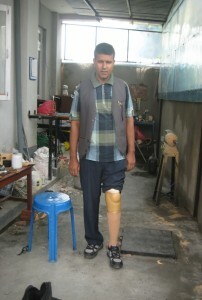 With a recycled lower limb brought from NZ and fitted in Kathmandu by a local prosthetician, Roshan Thapa, he is walking better but still requiring some tweaking of his limb to be really comfortable. 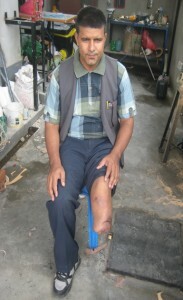 He will now help Hope Centre manage a camp in his border town to assess others needing limbs.